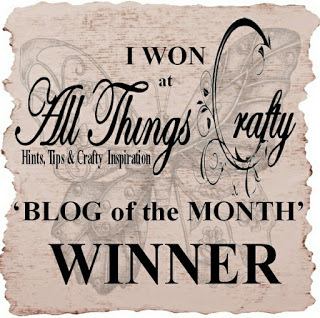 Hi and welcome (or welcome back) to my blog. 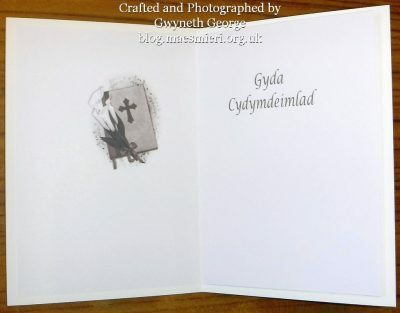 I said, in a previous post, that I had an order for 12 Welsh Sympathy Cards as well as Welsh Birthday Cards, and I’ve shown you 12 in two sets of six – here and here – but I then decided to give the customer a bit more of a choice, so before I sent the box of sympathy and birthday cards to her I made more cards. 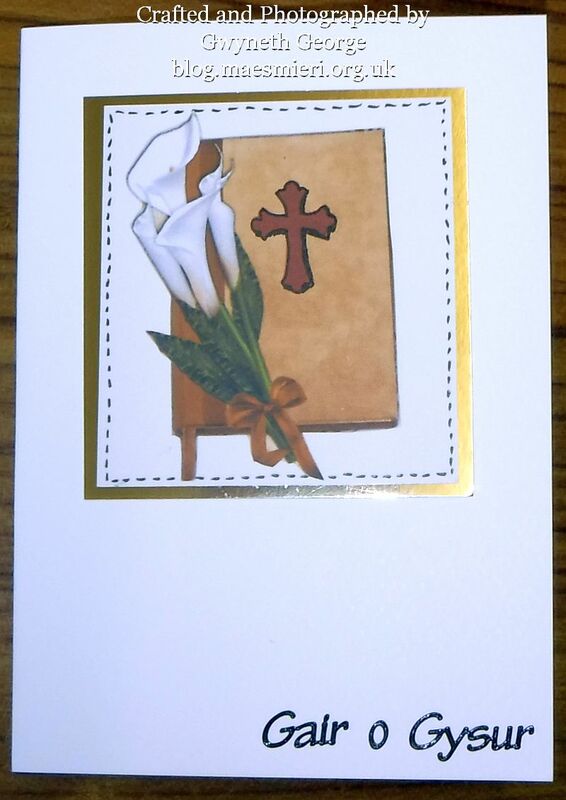 My stock of sympathy cards for family use has been greatly depleated and I needed more made in any case so I knew that I’d need any my customer didn’t choose for our use. 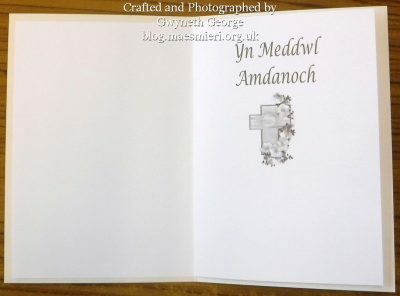 So I’m writing this post to show you the three extra cards I put in for my customer to choose which ones she wanted from the Sympathy and Birthday cards. She chose 13 in total from both types, so that’s a bit of pocket money that’s gone straight into new crafting purchases. Who knows, she may come back for more in the future. 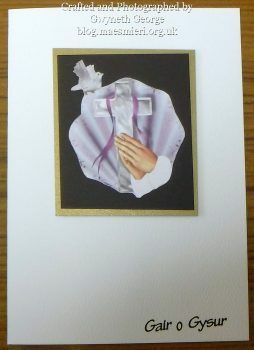 The images for all three of these cards are from a collection of images called “12 Religious designs” by Vicki Avcin. 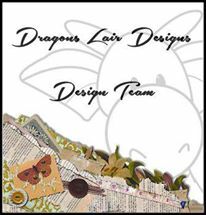 I resized and put them all onto one page in My Craft Studio Elite before printing it out onto 120gsm Super Smooth heavyweight paper. 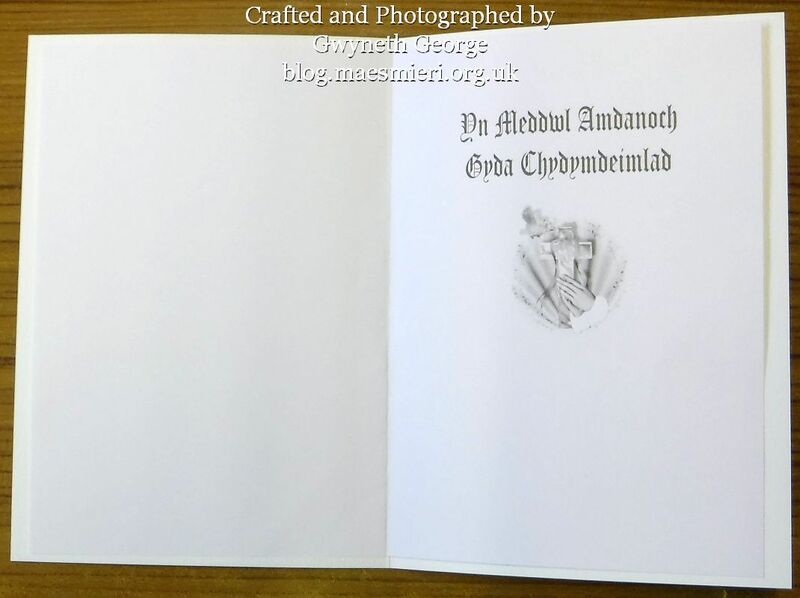 I also took copies of the images onto blank pages to convert them to greyscale and create insert layouts with suitable greetings so that I’d have matching inserts for all tge cards. 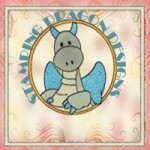 For this card I cut out the image and went round the edge with a fineliner to create a dashed line. 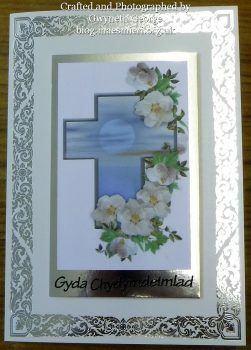 This was matted onto a piece of mirror card before sticking onto the front of an A6 white base card, and finishing it off with a peeloff. And this is the matching insert inside. Another image from the same collection. This time I cut it out up to the image edge before sticking onto a piece of black cardstock and matting that onto frosted gold coloured card. 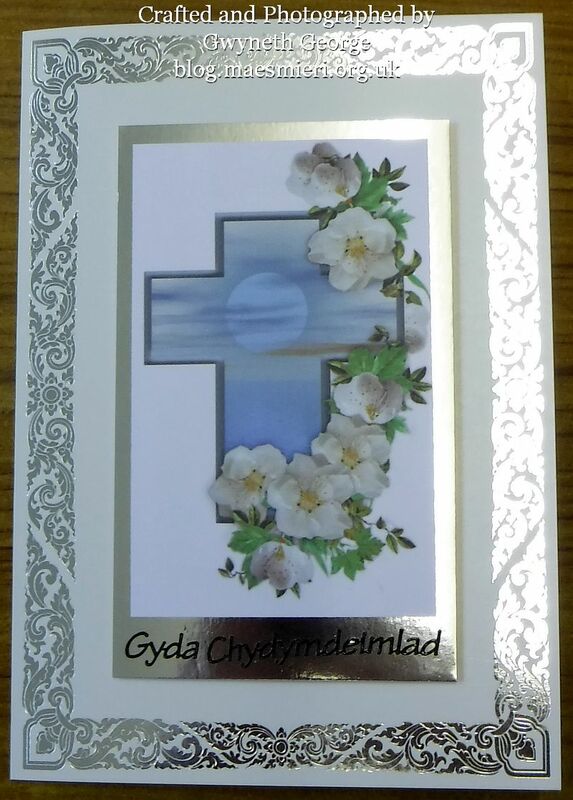 This time I put it onto an A5 base card ànd added a peeloff greeting. 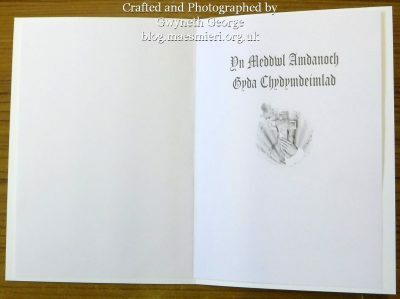 This is what the matching insert looks like. 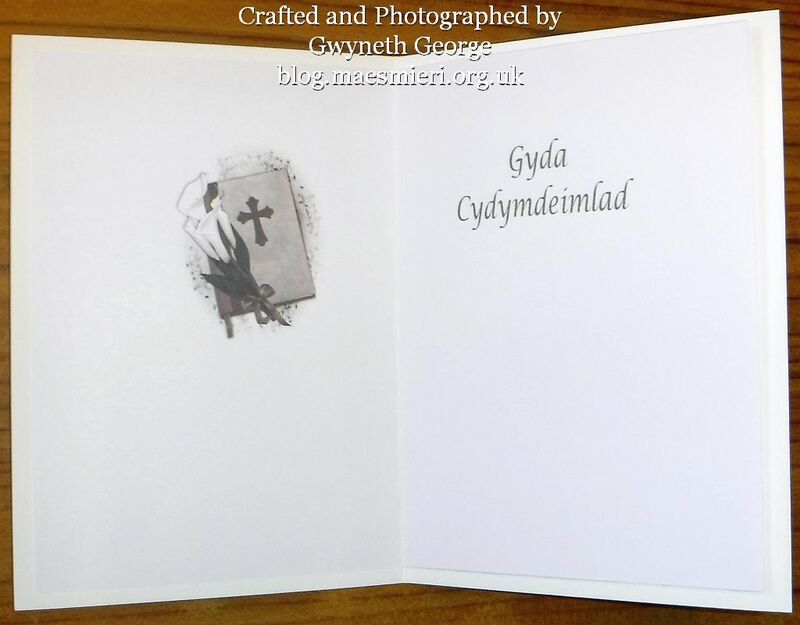 Another image from the same collection, but this time I used a Kanban card with decorative border and matted the image onto silver mirror card, and finished off with a pèloff greeting again. Here you can see the insert I stuck inside with fingerlift tape. 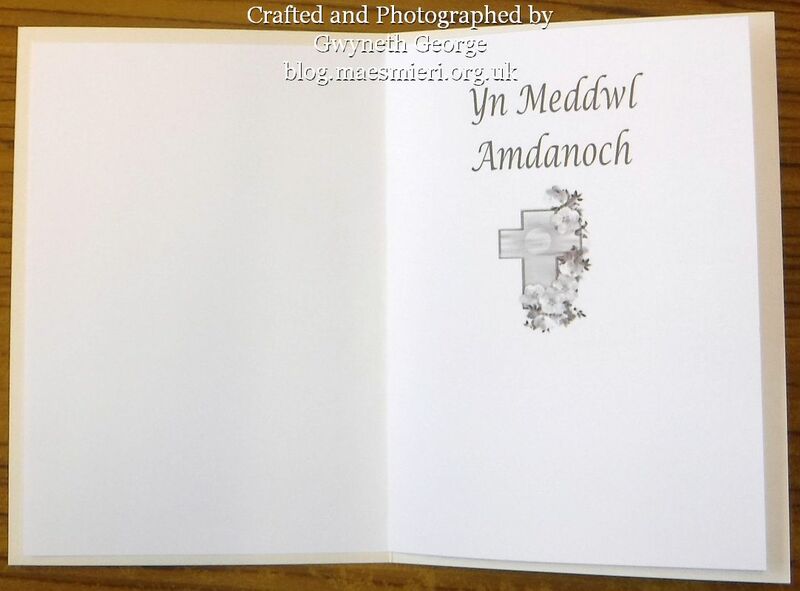 I also added three Welsh birthday cards to the box so that she’d have a choice of 12 from 15 birthday cards as well, but those cards were ones from my drawer of cards I’ve made before so I’ve already shown them on my blog – I think! I can see why she chose them Gwyneth, they are so beautiful . Beautiful cards, and your inserts are such a lovely addition.